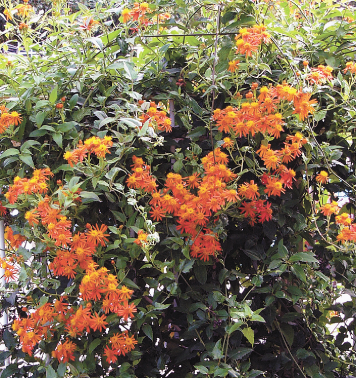 Enjoy the Plant ID Contest, published each week in the Wilson County News leading up to the South Texas Home, Garden and Environmental Show on Saturday, March 2, in the Floresville Event Center. Week 6: Guess this plant for a chance to win! Send your best guess to Plant ID, Wilson County News, 1012 C St., Floresville, TX 78114, or email it to nkilbey-smith@wcn-online.com, with “Plant ID” in the subject line. Please include your name, hometown, and a daytime phone number where you can be reached. To be eligible for the $25 gift certificate from Fanick’s Garden Center in San Antonio, your correct entry must arrive by Monday at 9 a.m. following the photo’s issue date. In the case of more than one correct answer, a drawing will determine the prizewinner. 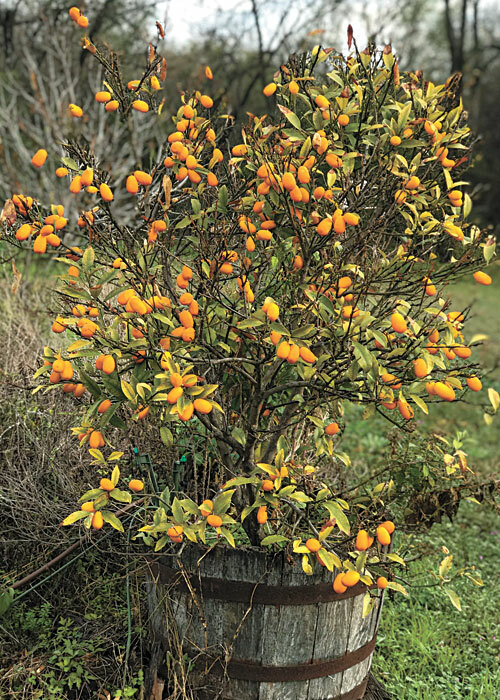 The winner of last week’s contest and a gift certificate from Color Me Green Nursery in Floresville is Dennise Hons of Kenedy; her entry was selected at random from those correctly identifying kumquat from the photo in our Feb. 20 issue. The Plant ID Contest has been a lead-in to the South Texas Home, Garden & Environmental Show on Saturday, March 2, in the Floresville Event Center. Read about the show on pages 6-7B in the Wilson County News Feb. 27th edition. Week 5: Guess this plant for a chance to win! To be eligible for the $25 gift certificate from Color Me Green Nursery in Floresville, your correct entry must arrive by Monday at 9 a.m. following the photo’s issue date. In the case of more than one correct answer, a drawing will determine the prizewinner. 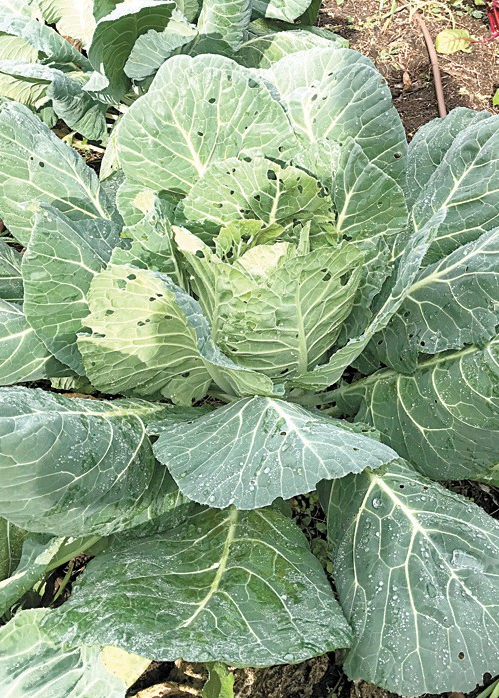 The winner of last week’s contest and a gift certificate from Sandy Oaks Olive Orchard in Elmendorf is Patrick Meyer of La Vernia, who correctly identified collards from the photo in our Feb. 13 issue. The Plant ID Contest will be published each week leading up to the South Texas Home, Garden & Environmental Show on Saturday, March 2, in the Floresville Event Center. Watch for more on this event in coming issues of the Wilson County News. Week 4: Guess this plant for a chance to win! To be eligible for the $25 gift certificate from Sandy Oaks Olive Orchard in Elmendorf, your correct entry must arrive by Monday at 9 a.m. following the photo’s issue date. In the case of more than one correct answer, a drawing will determine the prizewinner. The winner of last week’s contest and a gift certificate from Sandy Oaks Olive Orchard in Elmendorf is Micki Wiatrek of Adkins. Her entry was drawn at random from those correctly identifying stock from the photo in our Feb. 6 issue. Week 3: Guess this plant for a chance to win! The winner of last week’s contest and a gift certificate from Color Me Green Nursery in Floresville is Nicole Carver of Elmendorf. Her entry was drawn at random from the 35 entries received correctly identifying mistletoe from the photo in our Jan. 30 issue. Week 2: Guess this plant for a chance to win! The winner of last week’s contest and a gift certificate from Fanick’s Nursery in San Antonio is Nona Karnei of Floresville. Her entry was drawn at random from among those to correctly identify Confederate rose from the photo in our Jan. 23 issue. Week 1: Plant ID returns! 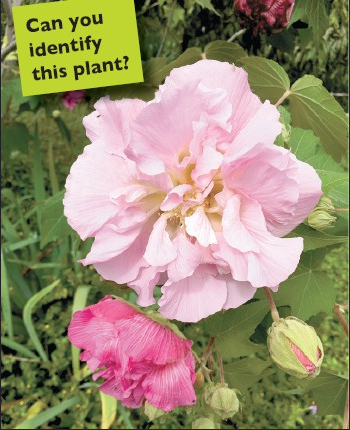 Wilson County News is proud to announce the return of our very popular annual “Plant ID Contest”! To be eligible for the $25 gift certificate from Fanick’s Nursery in San Antonio, your correct entry must arrive by Monday at 9 a.m. following the photo’s issue date. In the case of more than one correct answer, a drawing will determine the prizewinner. The Plant ID Contest will be published each week leading up to the South Texas Home, Garden and Environmental Show on Saturday, March 2, in the Floresville Event Center. Watch for more on this event in coming issues of the Wilson County News.